If I were to think back to childhood movie sessions, I don’t really think of popcorn and soft drink; for me, it was always the satisfying ‘plok’ of a straw piercing the plastic seal of a bubble tea cup just as the lights dimmed, and you felt that unmistakeable rush of excitement as the curtains peeled back to widen the screen. It may seem weird to have a drink you can chew but to those people I say this: you’re missing out on the experience. Asian iced tea – also known as ‘bubble’ or ‘boba’ tea – is a curious beverage. Generally, I find it to be a lighter, thinner alternative to a milkshake or fruit smoothie, without the caffeine hit of a daily coffee, and it usually lasts longer. You have to make a few extra decisions when ordering but, for me, the customisability of drinks is exactly its appeal. Having spent an enormous amount of money on bubble tea for more than a decade, let me walk you through some tips I’ve picked up along the way. Tea at most chains will be split into several categories: green tea, black tea, milk tea and smoothies. They form the base of your drink and can be customised with a huge range of flavourings. 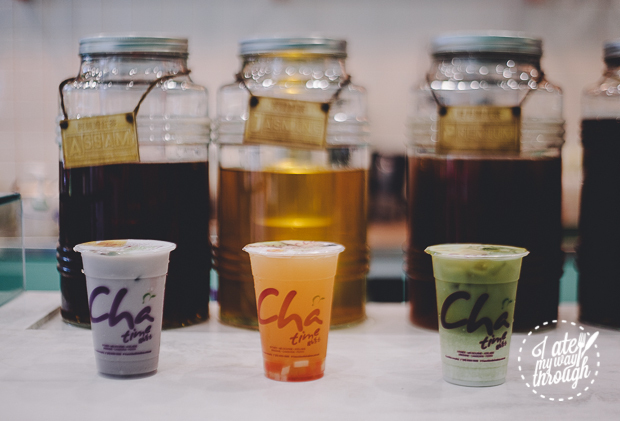 Cha time imports the flavourings from Taiwan, the home of ‘bubble tea’, so it is quite an authentic experience. Tip: Green tea tends to be a lighter ‘base’ than black tea, so it’s nice if you want to taste the flavours more. Hot milk teas are a great alternative to coffee on a cold day. I’ve also seen seasonal flavours like pear, black sesame and guava at Cha time, so it helps to revisit and check. All the tea is brewed fresh in store, and replenished after a maximum of 4hrs. You can customise the amount of ice in your Cha time – 0%, 50% and 100% – so it’s great on hot summer days when you need a cool drink. Alternatively, most iced tea chains also offer you the option of getting hot drinks in the same flavours (look out for the small flame icon on the menu). Tip: Personally, I often pick no ice because the tea is usually kept pretty cool as it is, and because ice tends to dilute your drink towards the end. If it’s a 40C summer day, maybe I’ll relent and get 50%. For the health conscious, you don’t need to get full sugar! Like ice, you can pick from 0%, 50% and 100% to your liking. 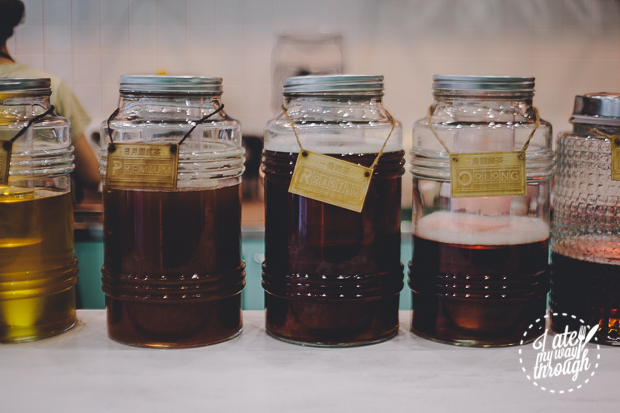 Tip: I particularly recommend getting 50% sugar or if you get toppings with your tea because the toppings are often sweet themselves and you can taste the flavours of the tea more vividly when it’s not too sweet. Toppings is what distinguishes your Asian-style iced tea from others and is why I’d pick it over DIY. It’s quite hard to achieve the same effect at home. 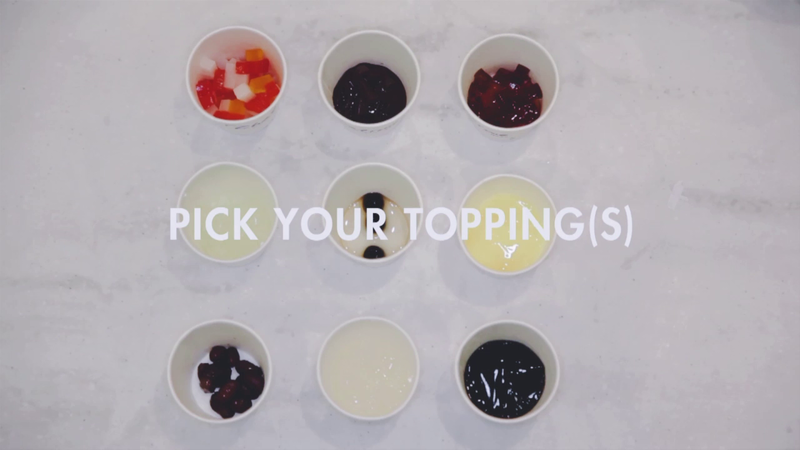 You can pick multiple toppings if you really want your drink to be a meal. 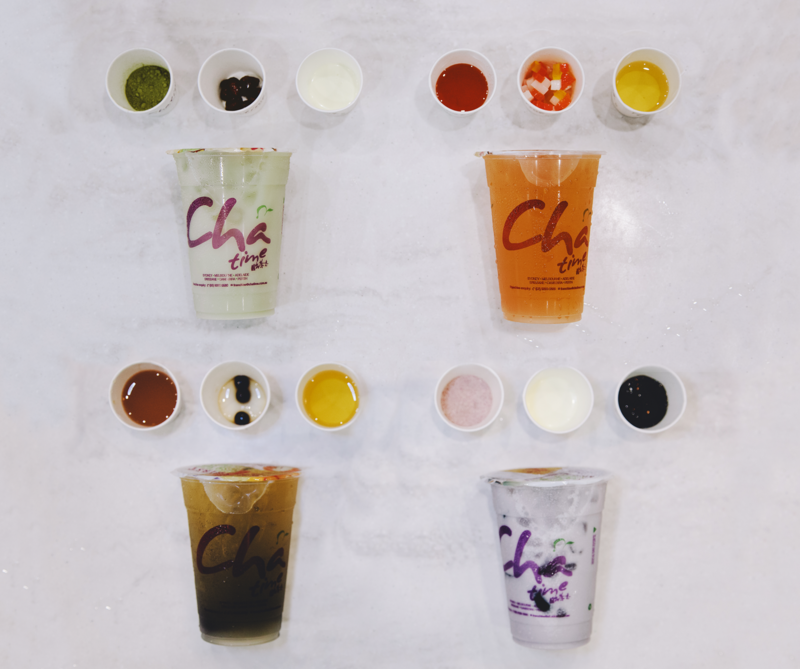 All of Cha time’s toppings are sourced from Taiwan. Pearls, herbal jelly and egg pudding are prepared in store. Tapioca pearls – Pearls are the iconic marker of Asian iced tea and are made from tapioca starch. They provide a chewy, slightly sweet, mochi-like texture to every sip of your drink. It makes your drink last twice as long because you’re chewing in between sips. This is perfect for people who can’t resist finishing most of their food during the trailers before their movies start (aka. me). Herbal jelly – Herbal jelly is made from the Mesona chinese plant, which is a member of the mint family. It has a lightly sweet but also slightly bitter taste, almost like tea with a hint of floral notes. 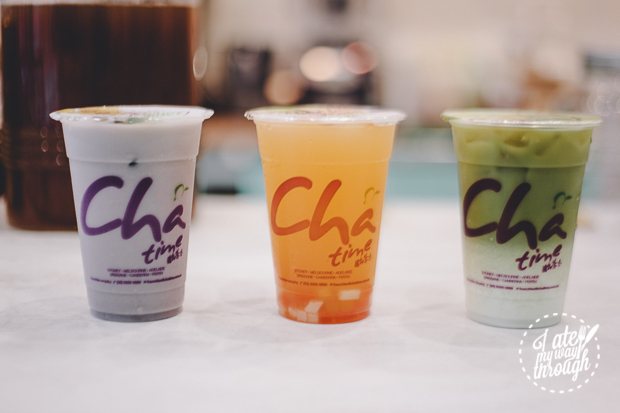 Cha time serves it in large slabs that have a soft, jelly-like texture. I grew up eating it and love the taste but it can be a little strange for first-timers. It’s important that you get it with the right drink ‘type’ – I recommend getting it with roasted milk tea or something more neutral in flavour. Red beans (azuki beans) – Cha time boils their red beans with sugar, forming a sweet red bean paste that’s very commonly used in Asian desserts. Get this with milk teas or non-fruit smoothies for better flavour complements. Aloe vera – Aloe vera is another healthy topping and is great with fruity teas. It’s very light, with a texture somewhere in between lychee and watermelon, and less chewy than the jellies. If you’ve ever had the green, sweet Aloe Vera drink from Asian supermarkets, you’ll know exactly how it tastes. Rainbow jelly – Rainbow jelly adds a chewy, sweet, ‘neutral’ topping for your smoothies and fruit teas, and is photogenic to boot. All jellies at Cha time have xanthan gum added to them but don’t contain any gelatine. Coffee jelly – Million dollar question: does this taste like coffee? The answer is…yes, it does! But more like a sweet cappuccino condensed into chewy jelly rectangles, instead of an espresso shot. It does add a coffee note to your drink and the jelly is quite sweet so I recommend getting this with simple milk teas with reduced sugar, to balance the sweetness out. Lychee jelly – There is absolutely no doubt this is lychee because each little rectangle is bursting with flavour. To say ‘jelly’ is a little deceiving because the texture is more fibrous, like if you took a piece of lychee and condensed it into a cube. Coconut jelly – I was extremely confused about this topping because I was expecting white coconut milk jelly, like the yumcha dessert. Coconut jelly is really more like coconut pulp, and it’s quite similar to the lychee jelly in taste and texture. Grape jelly – If you’ve ever eaten a grape gummy, grape jelly is basically that flavour, albeit slightly easier to chew than a gummy. Egg pudding – Sweet egg pudding shares very similar qualities with custard and has a high level of protein. I don’t think I’ve gotten egg pudding before but I imagine it would go well with plain milk tea flavours like assam milk tea or roasted milk tea. Curated by yours truly, over many years. I’m always searching for fun, new flavour combinations to try so if you have something to recommend, comment below. *I have not tried these personally, but I hear they’re good combinations. 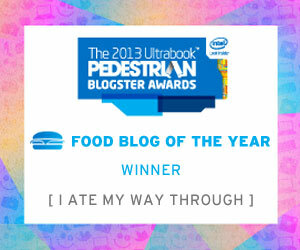 **This is an ode to my favourite go-to combination. Unfortunately, brown rice milk tea was taken off the menu. Farewell, old friend ): Jasmine Milk Tea is a little bit of a substitute. I Ate My Way Through’s post and video was made in collaboration with Cha time.